“Returning to the start of 2012, the wave of boy-girl duos grew bigger as Big Deal broke through on both sides of the Atlantic with their debut album ‘Lights Out’ on Mute. In the ashes of KC Underwood’s noisier band projects he taught an eighteen-year old British girl to play grunge tracks. Whether the 29-year-old American Underwood and Alice Costelloe are a couple remains a mystery, but the intimacy of the lyrics and duets on these naïve yet knowing tracks, taking in subjects from homework to Kurt Cobain, is there as clear as a record this hazy and swooning allows. 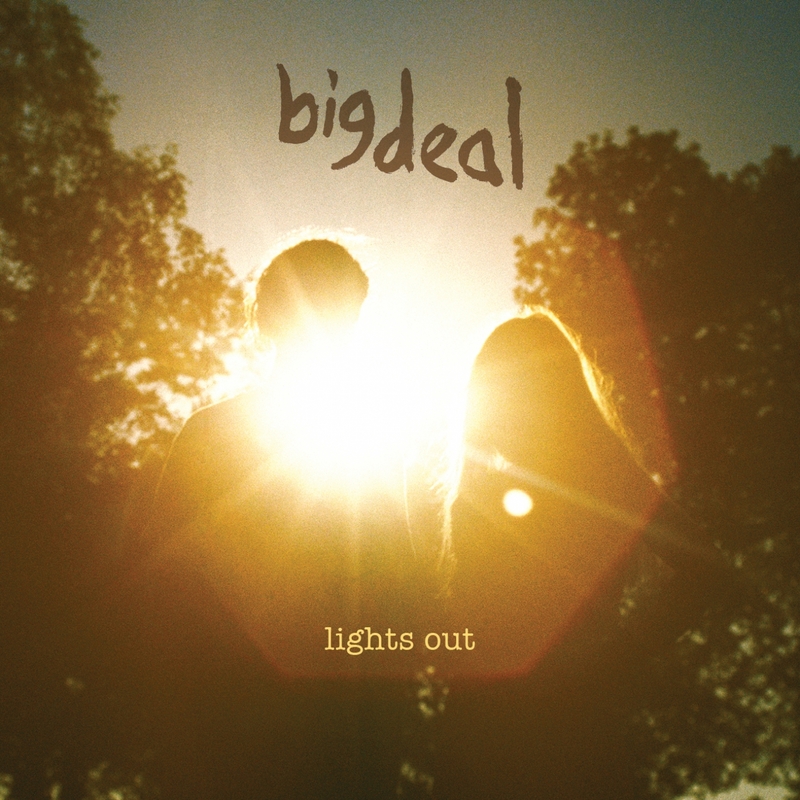 Lights Out, co-produced by Underwood and Dean Reid, emerged from its bedroom beginnings as a collection of 12 deeply personal songs with universal appeal, innately tapping into the innocence, insecurity, wonder and (sometimes unrequited) love and lust of relationships. These are songs which are structurally sparse yet emotively rich, sweet and seductive yet raw and jagged.